At The Case for Women we are passionate about improving the presence of women in business school learning tools and their overall representation within the tertiary education sector. We monitor women’s presence across business schools in prominent business school case papers, as well as their participation as students and professors. We publish annual lists on business school case papers that contain women protagonists and have women present in them. We aim to support those wanting to improve the presence of women as leaders in business and in business schools. Through coaching and women’s programmes, we work to improve women's prospects of becoming a leader. We consult to businesses and universities on how they can best support and improve the presence of women at managerial and leadership level. The founder of the The Case for Women, Lesley Symons, is passionate about getting more women into leadership positions. Whilst studying at INSEAD in France, Lesley noticed a distinct lack of women on campus, both as professors and as students. Even more noticeable was the lack of case material she read with a woman either as a lead or as a manager. This lead her to writing her thesis 'Where are the Women Leaders?'. Hence, her particular interest is in the business school and tertiary education sector where she found women critically under-represented. 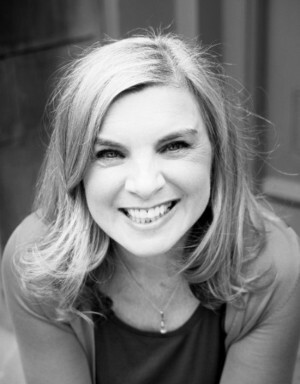 Lesley has ten years’ experience as an executive coach, facilitator and speaker. Prior to coaching Lesley had 20 years leadership experience in the fast moving consumer goods industry with companies such as L’Oreal and Estée Lauder Companies. Lesley is based in London and Sydney. The Case for Women conducts ongoing research into the presence and portrayal of women in prominent business school case papers. We record and analyse the gender balance of characters present in competition-winning Case Centre papers. We consider how our future corporate leaders are impacted by the extensive use of gender biased teaching material.